The earthquake did more than rattle buildings up and down the east coast. It also toppled figurines at churches in Washington DC, and damaged statues and monuments as well. One of them was the giant statue at the top of the Our Lady of Lourdes Medical Center in Camden, NJ. Superior Scaffold was called because of our super fast response times (within 24 hours). We got the call and within 24 hours we had an emergency scaffold in place to start repairing the cracks in the statue. It’s one of the services that we pride ourselves on. We have the fastest turn-around times in the business. 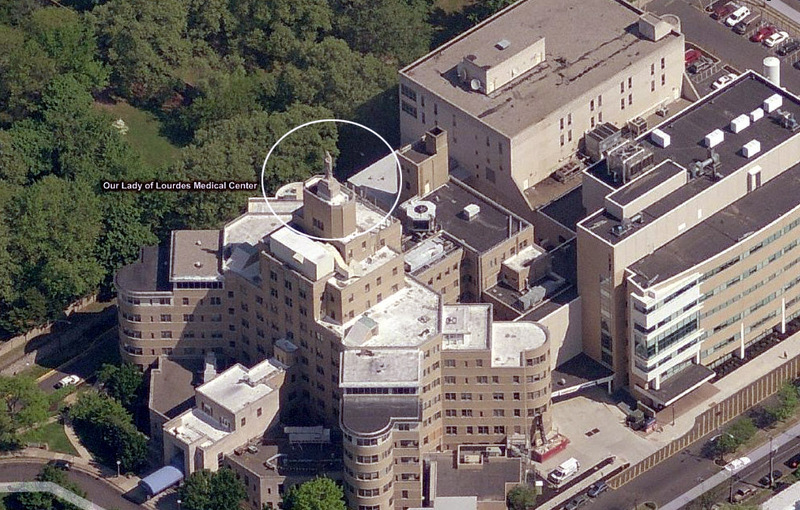 You can see the statue here in this photo from a very cool service from Bing Maps. I will include the link too because it’s a great service that I never knew about. It’s called Bird’s eye view I would normally use google. This entry was posted on Friday, September 9th, 2011 at 11:17 am	and is filed under News & Updates, Rentals, System. You can follow any responses to this entry through the RSS 2.0 feed. Both comments and pings are currently closed.